We offer a variety of workshops, catering for players of all ages and levels of experience. We explore a range of repertoire and approach the different challenges of playing a stringed instrument in a structured and fun way. The majority of our workshops are designed to cater for string players from complete beginners (playing only open strings) to intermediate and advanced players. During these workshops, more advanced players are challenged to develop refined ensemble skills and may also take on the role of mentors. Some events are targeted specifically at more or less experienced players. To check the suitability for your participant please refer to the Grade level given within the workshop detail. If Grade 0 is indicated this means that complete beginners are welcome to attend and there will be some easy open string parts. ​All of our workshops include non-instrument based games and activities designed to engage our minds and bodies to make learning easy and fun. 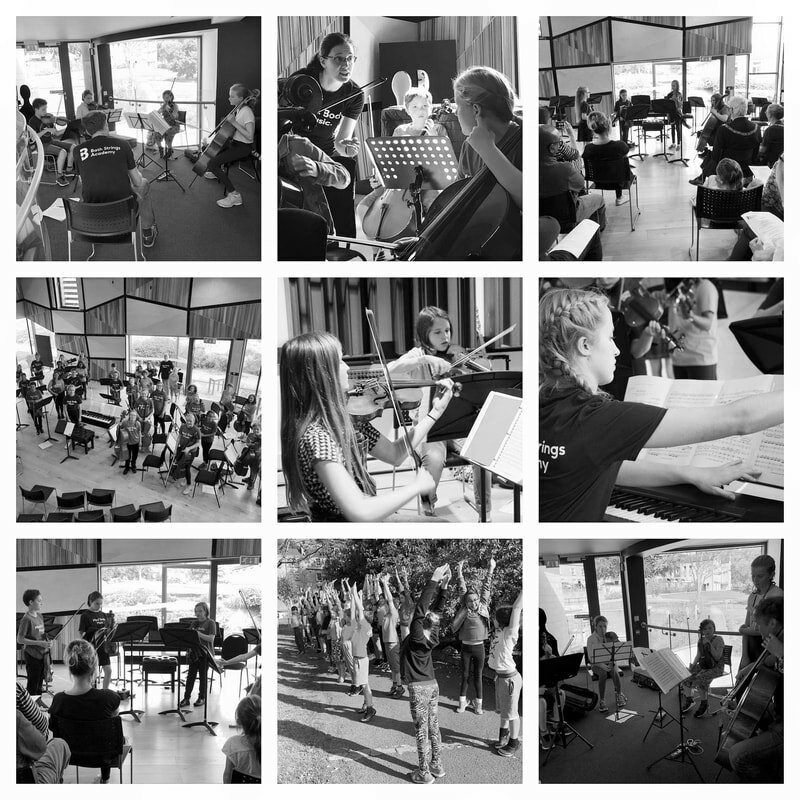 Half day workshops focusing on building essential musical foundation skills: e.g. pulse, rhythm, posture, listening & reading. Suitable for complete beginners playing open strings to more advanced players who are looking to build confidence, fluency and improve sight-reading skills. Half day workshops aiming to give a flavour of a particular theme or style of music. Tasty Bites are a lead-in to full day workshops which cover the themes in greater depth. Half day workshops that focus on a particular aspect of string technique, presented in a fun and creative way; e.g. position shifting, bow division, spiccato bowing, pizzicato etc. Full day workshops in which to explore musical themes, styles and techniques in depth and in detail. Visit our News and Gallery page to see some of our previous events and to get a feel for what we're about. Wow! I can't believe we learned that in three hours. It would normally take us a whole term of rehearsals to learn that." A half-day workshop looking at music full of suspense from stage and screen.